Acapulco, Mexico, in the 1950s was a glamorous haven for rich dudes with grey-haired chests and beauties in white bikinis. But recently some people have said it is in decline. 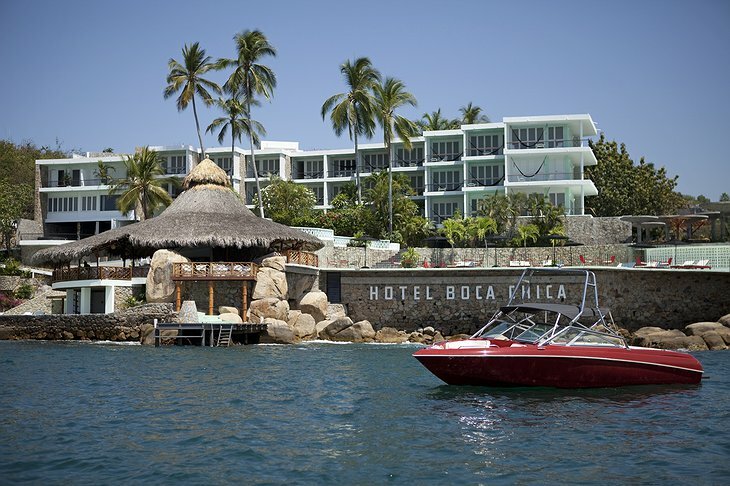 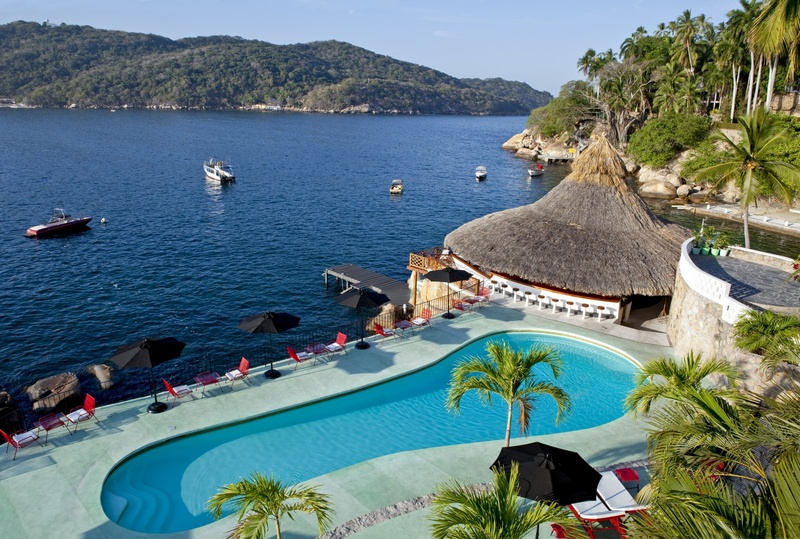 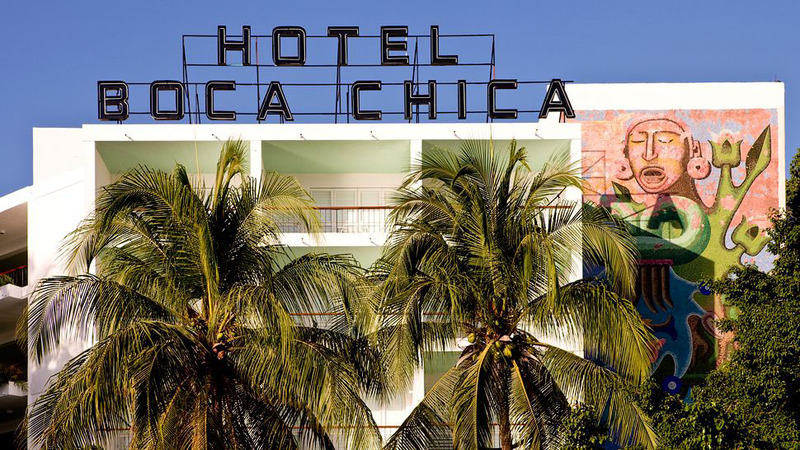 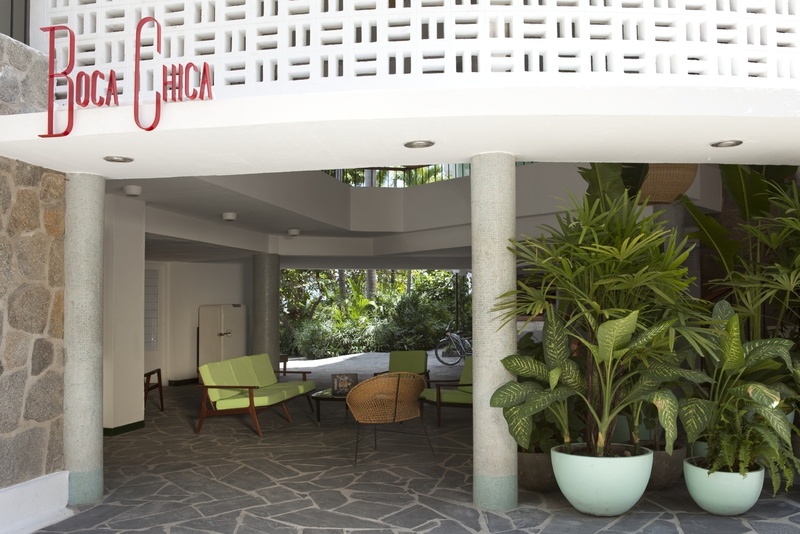 Lucky, then, that Hotel Boca Chica has arrived on the scene. 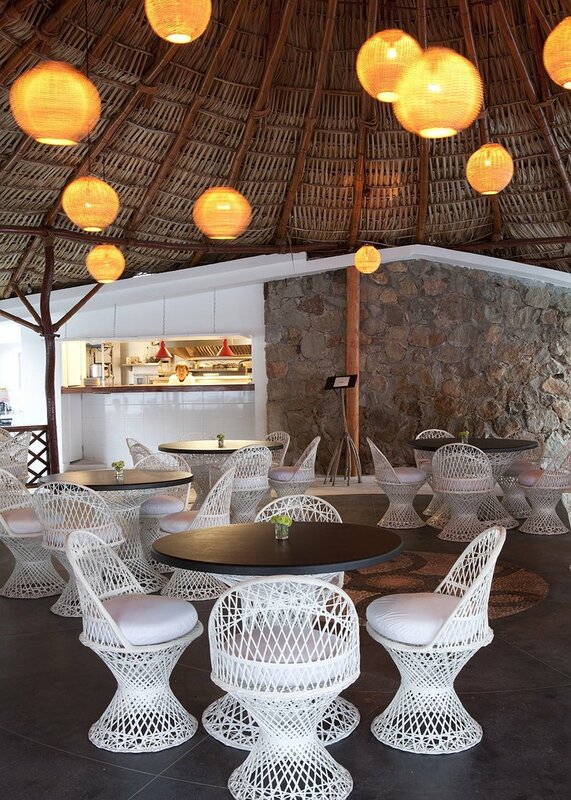 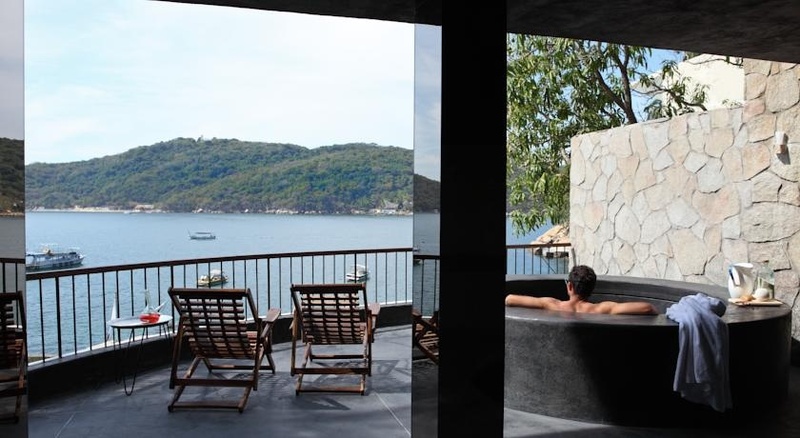 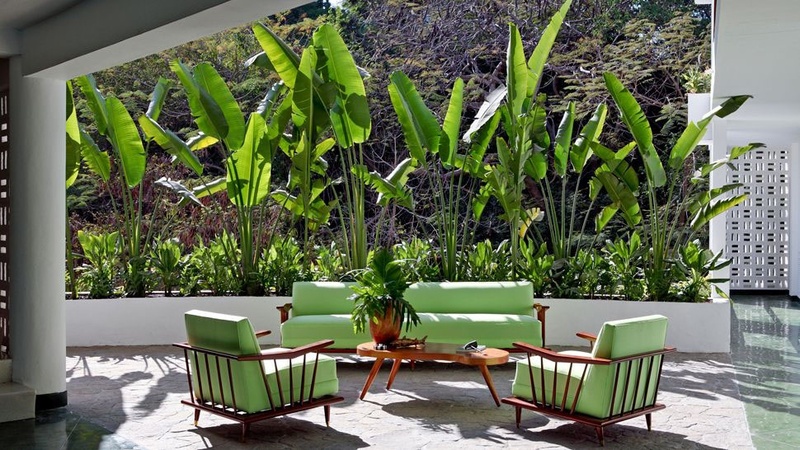 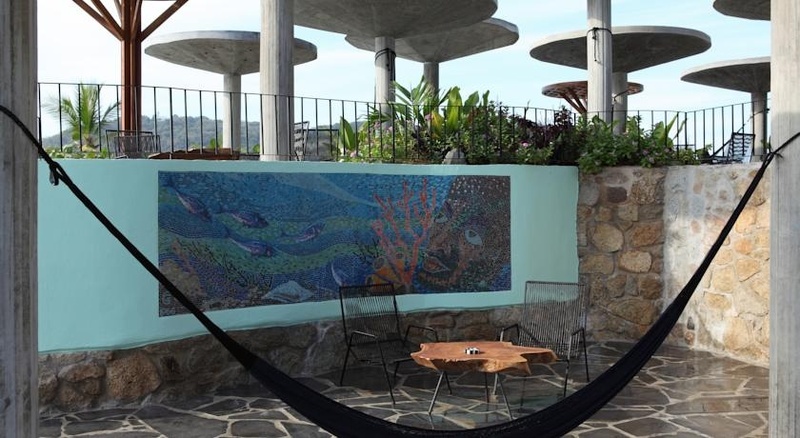 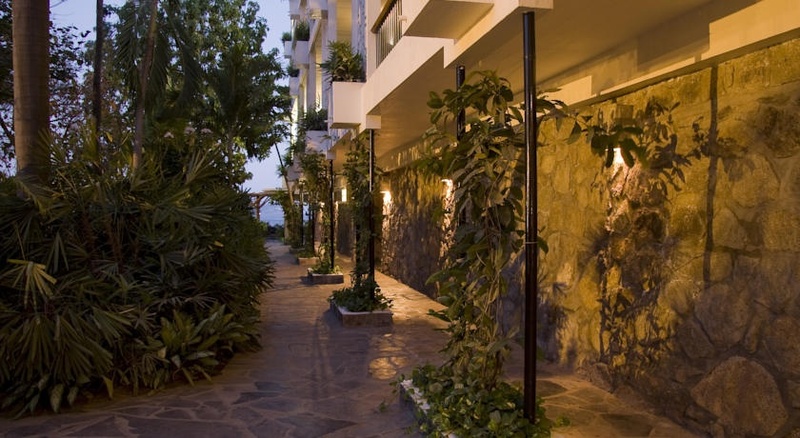 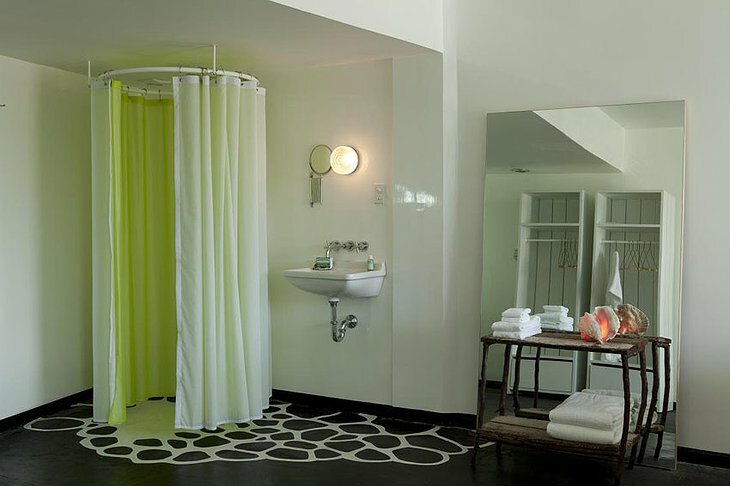 Located in a vintage Acapulco hotel, new owners overhauled everything with the help of renowned architect, Fernando Romero. 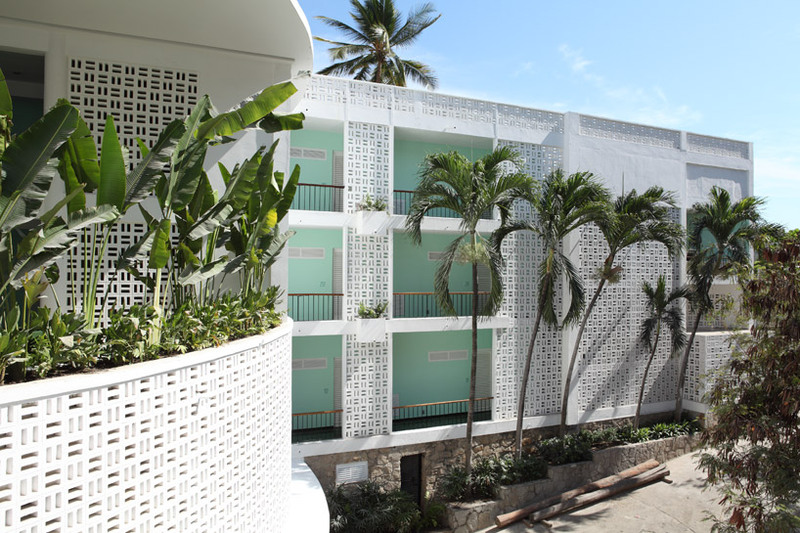 His team preserved the traditional brick work and terrazzo floors alongside new features. 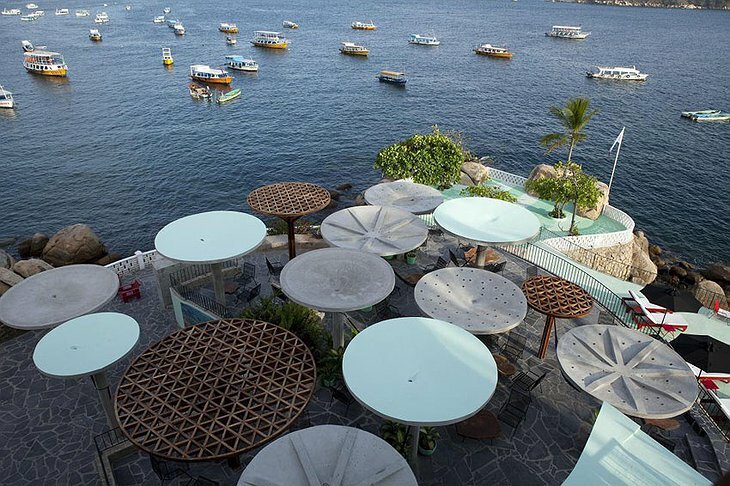 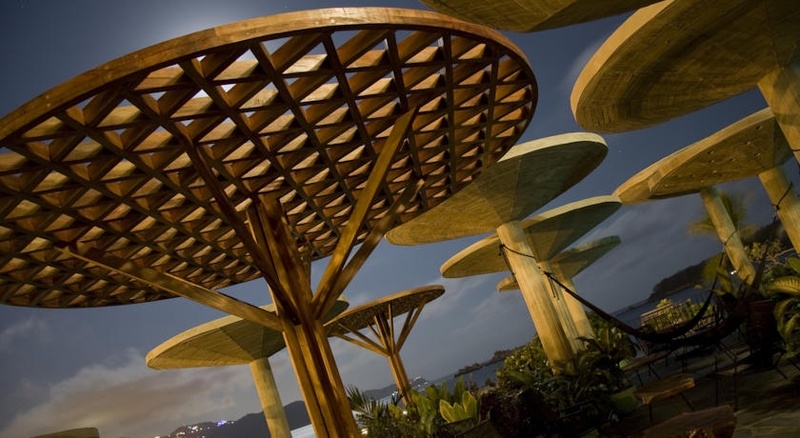 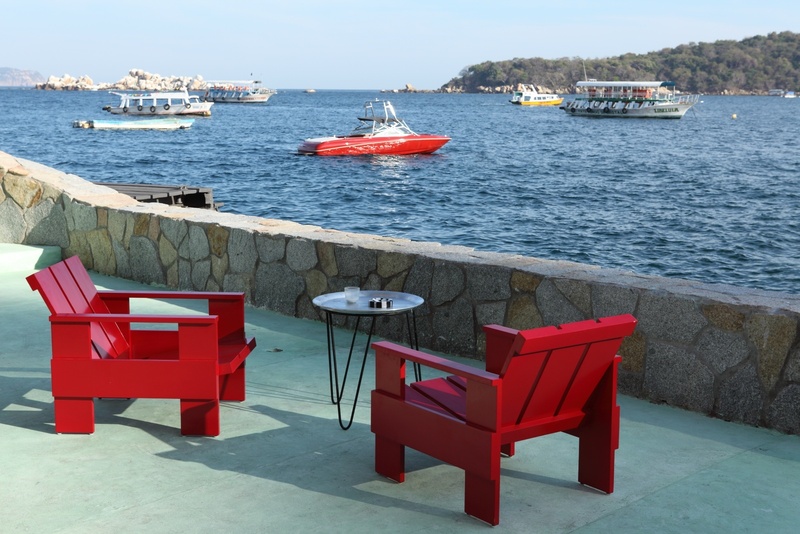 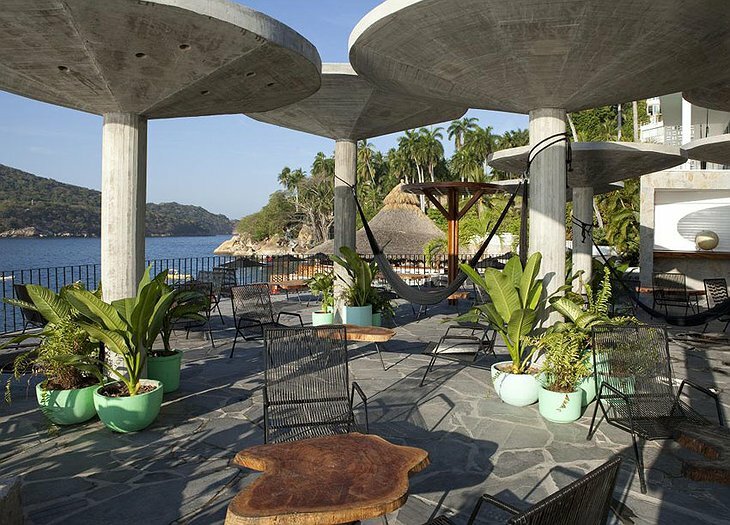 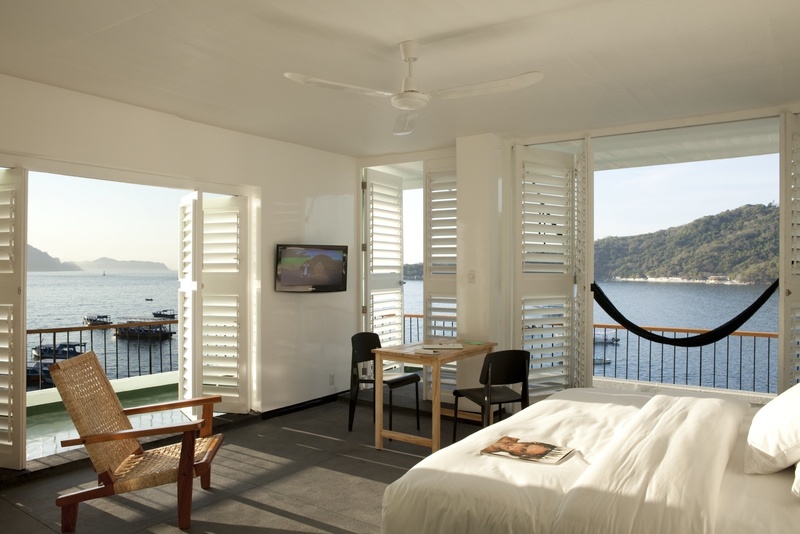 The hotel is located on the seafront and floating outside is an installation by artist, Pedro Reyes. The artwork is an island that floats in the sea outside; the hollow structure of the island is painted white to catch the sun’s rays and features a pool and geometric windows. 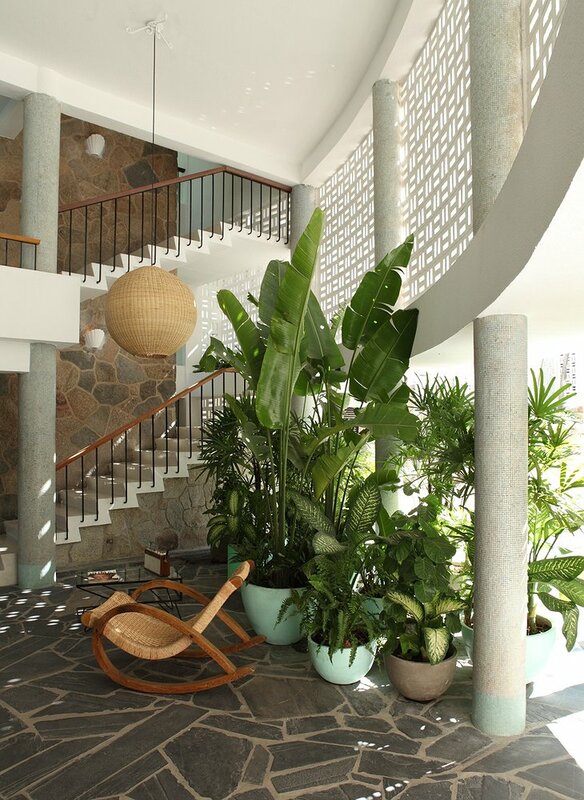 Your room will have a private garden and outdoor living space where you can swing in a hammock before heading upstairs for a cool cocktail. Poolside, there are massages given in cabanas and you can eat sushi made by one of the world’s foremost sushi chefs.